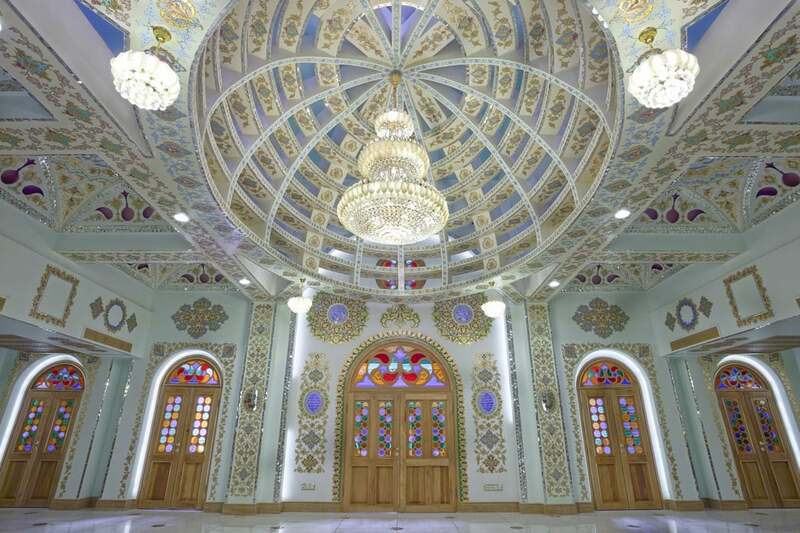 For the curious luxury traveller, who perhaps feels they want to visit places off the typical tourist agenda, Iran on the Arabian Gulf, is definitely a most interesting choice. With historic sites and glorious architecture that quite literally sparkles dating back to the Persian Empire, there is much to admire in country; Isfahan is always on the list of places to visit together with Shiraz and Kashan which lie close by. 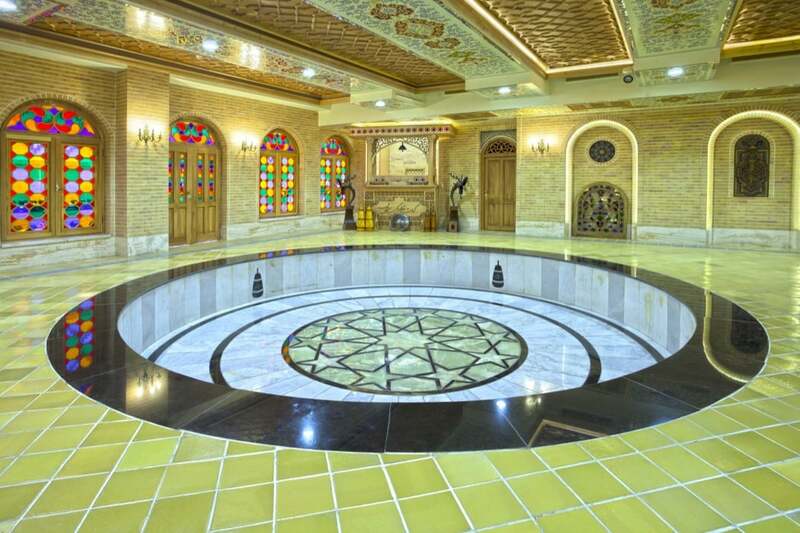 Iranians are a notoriously welcoming and friendly people; the country is made up of numerous ethic groups and offers to share tea or even a meal are commonplace and make for a truly memorable holiday. An added bonus is that a visit here is great value due to the current currency exchange rates. 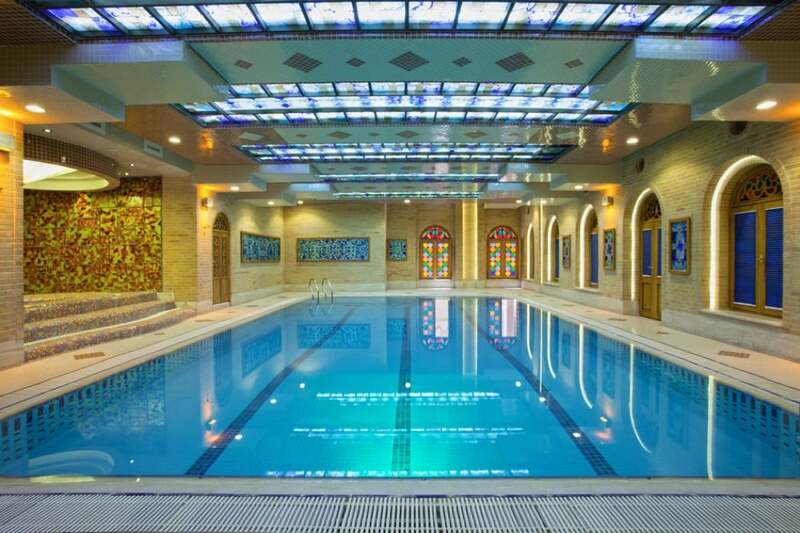 The perfect place to stay on a visit to Iran is Isfahan’s newest and most luxurious accommodation, the Attar Hotel. 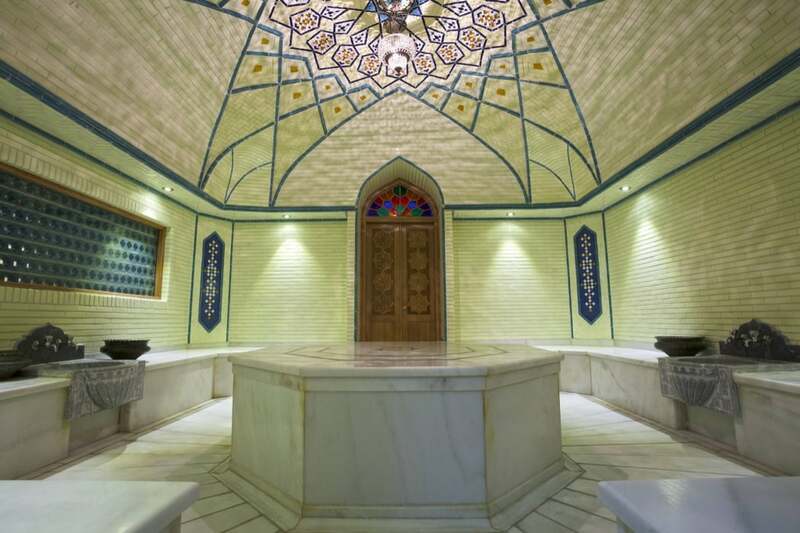 Attar Hotel is situated in the heart of one of Isfahan’s oldest residential neighbourhoods. 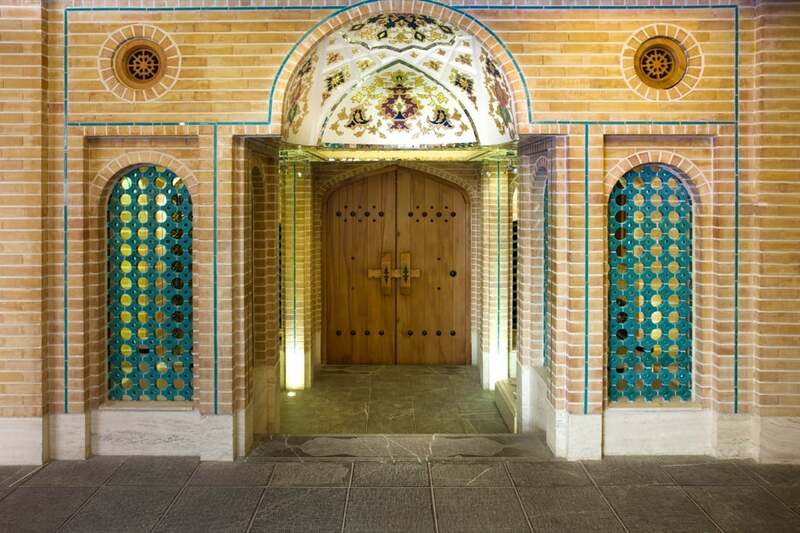 You are ideally located to discover Isfahan’s tourist gems; with Chahar-Bagh and Isfahan’s old Bazaars being a few minutes’ walk and Naghshe-Jahan Square a 20-minute walk away. 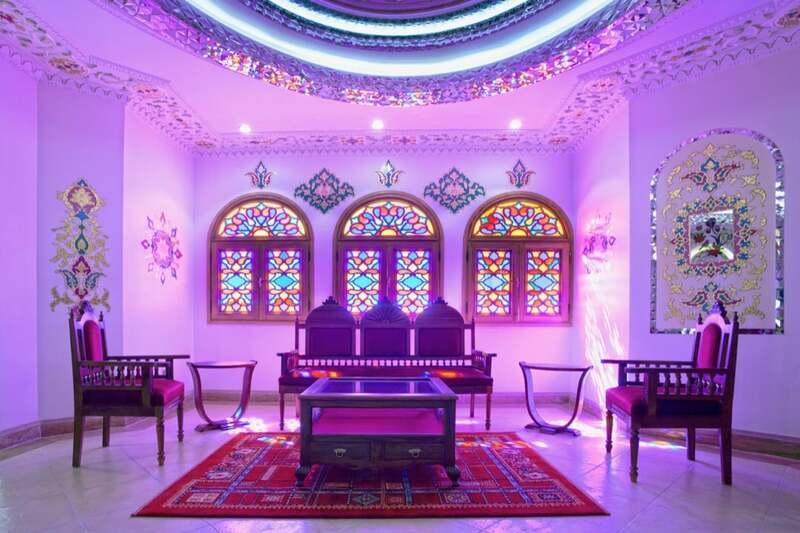 Attar is a stunning privately owned and managed boutique hotel which was originally an ancestral home. 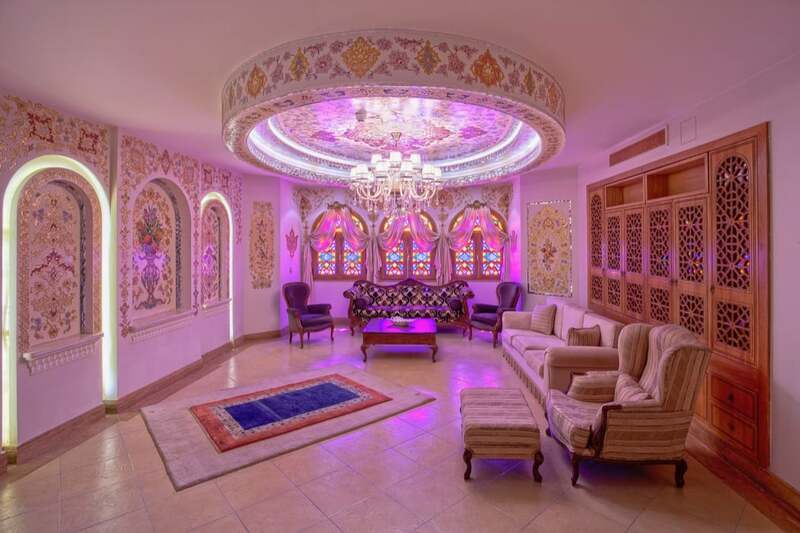 The home has been transformed using elegant craftsmanship and intricate design into a hotel with all the modern amenities that hasn’t lost any of its authentic Persian beauty. The passion for art and love of Persian heritage is evident, with exquisite paintings and artwork adorning the walls, Persian carpets on the floor, intricate mirrors and glittering chandeliers throughout; the finishing effect is quite spectacular – luxurious and opulent. As well as the suites themselves there is a stunning restaurant (more on that later) and tucked in the basement you’ll find a collection of relaxation and wellness facilities. 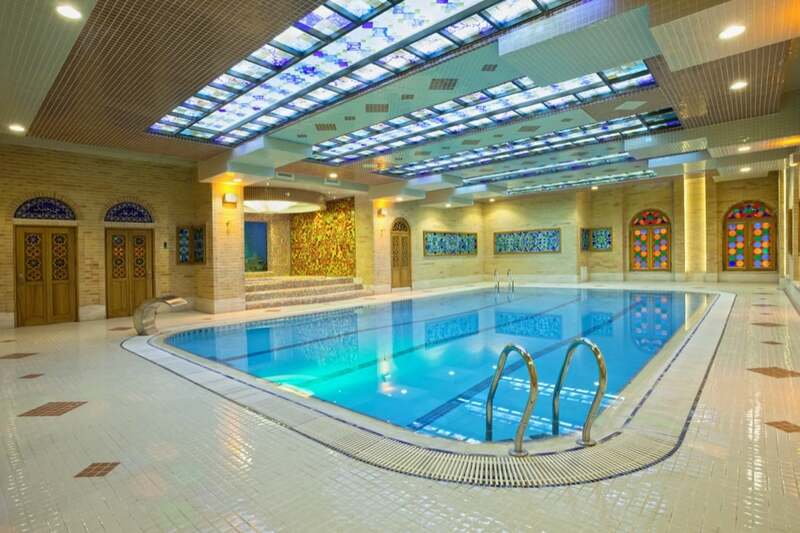 There is a large indoor pool with a colourful stained-glass ceiling as well as a gym, jacuzzi, sauna, steam-room and marble Hammam; it is a serene and relaxing hideaway that is the perfect place to rest aching bones after a busy day of sightseeing. 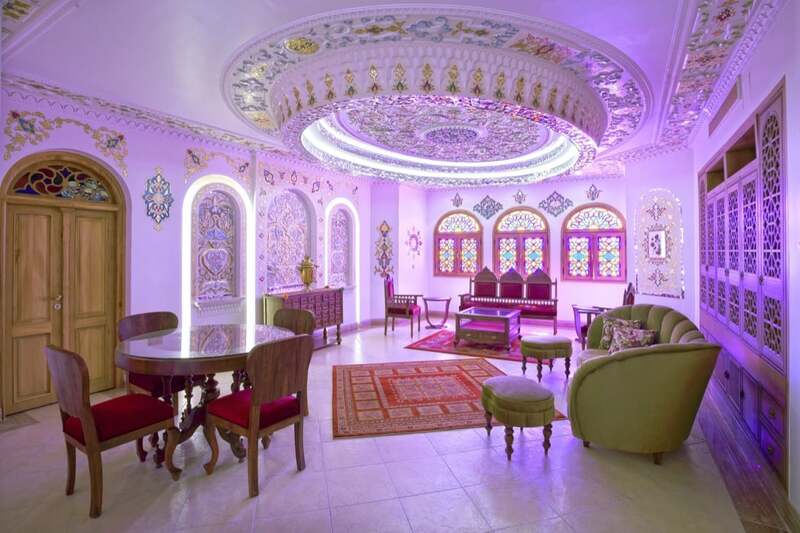 The exemplary service really makes your stay here and the traditional Iranian hospitality is in abundance. The boutique hotel features 12 spacious one and two-bedroom luxury hotel suites. 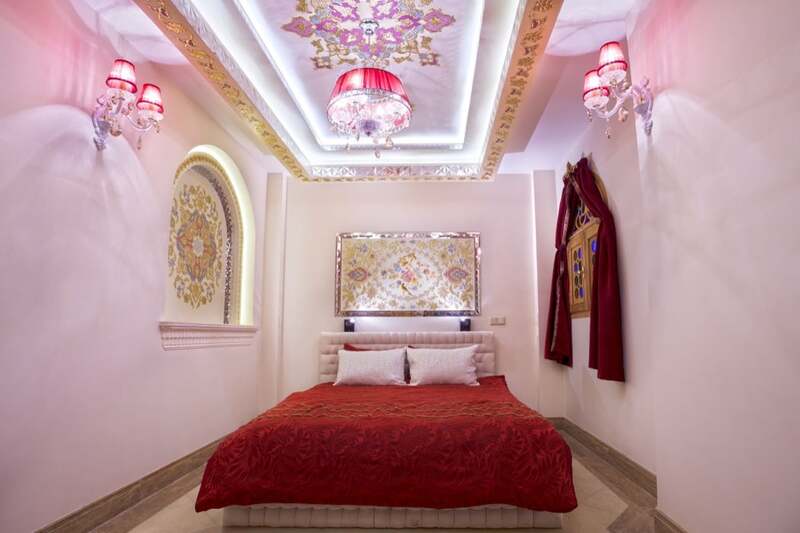 The gorgeous suites have a definite wow-factor as soon as you walk in and make this the perfect accommodation for your Iran trip. All suites include a fully equipped kitchen, walk-in shower and a large sitting area. The restaurant is centred around a welcoming courtyard with a water fountain and tall ceilings which lead to a magnificent stained-glass roof. The rather special roof makes this the perfect dining location all year round, on sunny days the roof is opened right up to left in the warmth but when there is a chill in the air the roof can be closed so the restaurant feels lovely and cosy. A traditional breakfast is included for all guests with fresh produce in very generous quantities. Insider tip – make sure you take up their offer of tea, the teacups in which it is served are totally delightful.